The most common problem you will have with any copier or printer will be paper jams. They happen to everyone, but luckily they are usually a quick fix. Fixing a paper jam is a simple process that can save you lots of time later on. 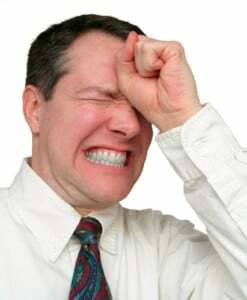 There’s nothing worse than being in the middle of a big job and having to stop because you think the printer is broken. We want to make sure you can stay up and running and know what to do when fixing a paper jam. Locate the jam. The name speaks for itself when we say that there is paper literally jammed in the printer. Check the paper tray, as that is where most jams reside. If you cannot find the source of the jam then you may need to open the printer. Slowly remove the paper. Be very careful when doing this. DO NOT YANK OR THE PAPER. Being too aggressive can cause other parts to break. The point is to carefully remove it, not force it out. Remove all small scraps that may be left. Just because you pulled out a full sheet of paper does not mean you problem is entirely solved. Make sure that there are not paper scraps floating around inside. Double check to make sure everything is cleaned out. Run a cleaning program. Clean the brushes to make sure that you removed all tiny paper scraps and dirt. This should be your last step, and last resort when fixing a paper jam. Paper jams are usually very easy to fix. If you encounter one then follow this easy guide to get yourself out of trouble. If your problem persists, then you may have a larger issue at hand. If that’s the case then NYC Copier would be happy to help you solve your problem. Don’t let a pesky paper jam get you down! NYC Copier is here to help!